I read of his drive and passion for drama and how the burning desire fuelled his pursuit in acting. This decision would cast him to Hollywood in order to try his luck and landing him minor roles working with the likes of James Whale and Laurel & Hardy. It’s little wonder then, that this passion was within him, seeing as there were several members of his family who likewise continued this pursuit. Despite this, there were members of his family and peers who looked downcast at his choice. Still it is to be admired that he never seemed to falter despite all that drew against him. Inevitably these decisions would lead him to meet the love of his life, Helen, who would become his wife, friend, mentor, and soul mate. His devotion to Helen is unfounded and makes it all the more harder to bear his suffering when she passed away; A moment that would shape Mr Cushing and one he would never truly get over. Work became his pedigree and his only true vocation after that. In a way it was his release; his escape from his own thoughts and life that drove him further after that. 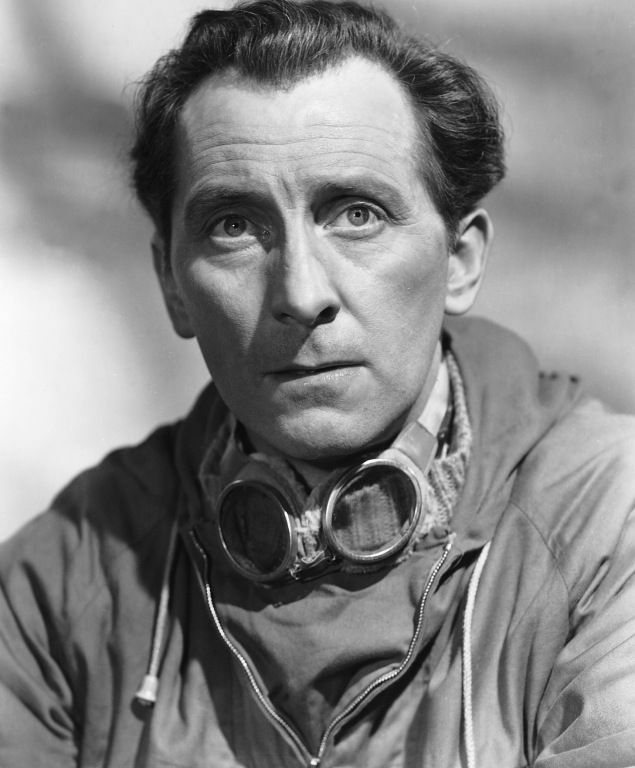 Of course, HHP best remember him from the films he starred in for Hammer, even though modern audiences may know him more as Grand Moff Tarkin in Star Wars or indeed as The Doctor in the movies, Dr Who and the Daleks; and Dalek’s Invasion Earth 2150AD. 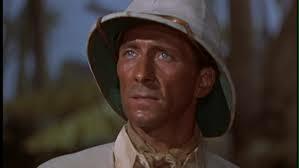 So, I thought that I’d highlight some of the finer roles that Mr Cushing played for Hammer that would define his career. It would be hard pushed to ignore his most famous role for Hammer, having taken on the role a total 6 times. 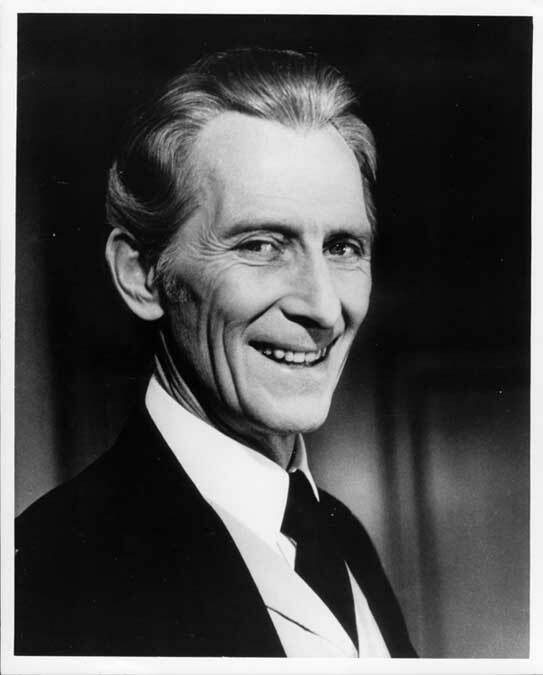 Each incarnation (some stronger than others, mainly due to the script, more than Mr Cushing’s performances) would have their own merits, but it would be Curse that would mould him into horror legend status. 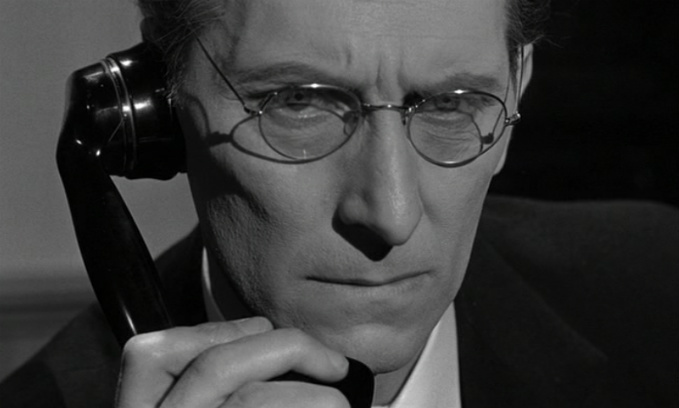 What defined these roles more though was Mr Cushing’s ability to imbued his characters in reality. 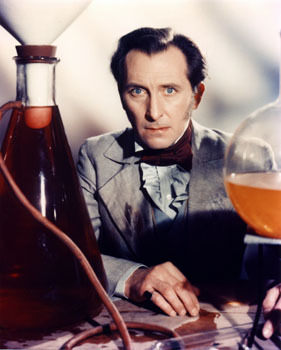 He would ground them with devout attention to detail, from the way he would dress himself in various period outfits; to effectively bringing his own lab to the film sets, such was the need to immerse himself in the surroundings, thus providing a more believable role and set of circumstances for the audience. This almost forgotten classic was possibly overlooked by the huge success that The Curse of Frankenstein brought, deserves further scrutiny. Here Cushing takes on the role of a botanist in search of rare plants, who joins an expedition without realising that they have an ulterior motive; To discover the infamous Yeti. Beautifully handled by Val Guest, Cushing delivers a stellar performance as the voice of common decency in the face of adversity. 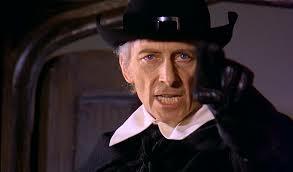 Van Helsing and/or his descendants would provide audiences with Cushing’s other most recognised role. Really though, it’s the first in the vehicle that stands strongest here as he expertly plays the vampire killer, with dash and daring. 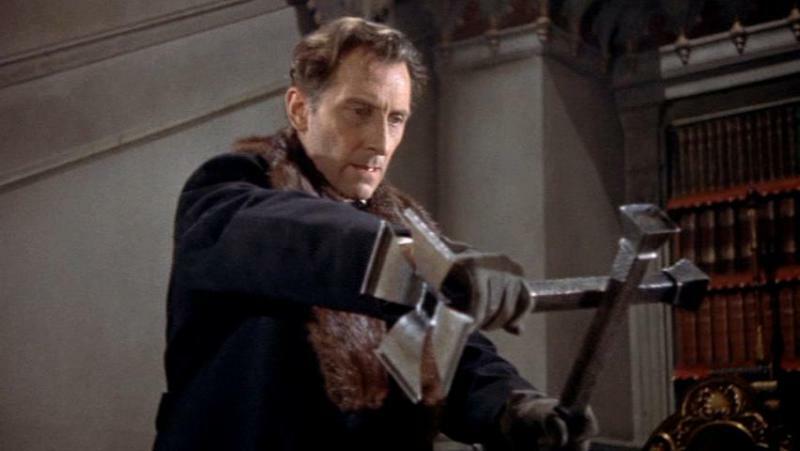 Peter Cushing himself came up with the notion of fashioning a crucifix from candlestick holders; and the tearing down of the curtain with a leap from the dining table to shed sunlight upon Dracula was performed by him too. Often Cushing would produce his own stunts, once again trying to ground his character in reality. Not to be forgotten is the classic opening sequence in Dracula AD 1072, a physical struggle with Dracula on top of a horse-drawn carriage – and from an audience perspective, the reuniting of British Horrors most famous pairing in Cushing and Lee. The role of Sherlock Holmes has always been a hard one to display, such is the icon-ness of the character. 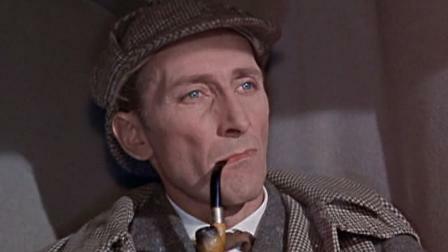 Most modern audiences would identify Sherlock with Benedict Cumberbatch, but it’s hard to picture anyone other than Cushing taking on the role of the detective in its original period setting. 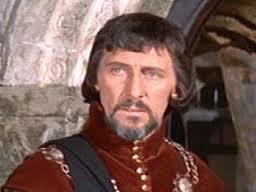 In fact, Cushing would go on to perform the role a further 16 times for the 60s BBC TV series. It was in Hounds though that he cemented the character whilst being ably supported by Andre Morell as Dr Watson. Although his role here doesn’t feel as strong as the other outings, I include it purely as his leading role is a testament to his performance of John Banning and his pursuit of The Mummy that is terrorising his family. With the added inclusion of the great scene between Banning and Mehmet Bey, filled with suspense and a little bit of wit to boot. An interesting deviation from Hammers usual turnout. Their adaptation of the Robin Hood legend was ill met with fans and critics, but I’d like to highlight Cushings’ deft turn of the evil Sheriff, distributing the same level of callousness he delivered for Frankenstein. The beauty of this suspense thriller of a movie is the strong character development and the close quarters in which the film is shot. Mostly inside the bank, where Cushing plays the dedicated bank manager in a cat and mouse game with a debonair bank robber, expertly played by Andre Morell. The intricate setting allows both Cushing and Morell the chance to breathe life into their characters and Cushing plays it to a tee. Some of his finest work on-screen is captured here. 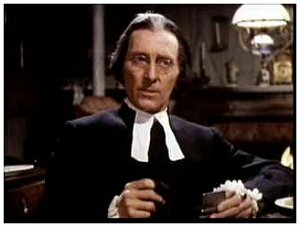 In Captain Clegg, Cushing is given a chance to broaden his acting prowess by playing the sweet, kindly vicar who is hiding an alternate life. Part swashbuckler, part thriller, the movie has been somewhat lost on the ether due to its labelling of a horror film and possibly its American titling, Night Creatures which belies the movies true narrative. A chance to see Cushing sans vampires, mummies or monsters. A chance to play it straight and he appears to be having fun in the process. HHP have reviewed this movie before and it is arguably Cushings finest performance on-screen for Hammer. One can’t help but feel this may have something to do with the timing of the production, coming not long after his wife, Helen has passed away. Physically, Cushing is a lot more gaunt looking and his performance as Gustav Weil, the puritanical leader of the religious sect is delivered with such cold, callous, maliciousness as he marauders through the local village stamping out any sign of evil witchery, killing (women mainly) by burning them. It is his drive and actions that leave us questioning who the true evil presence really is. This mediocre film that falls into the psycho thriller category does have its fair share of suspense within as we follow Judy after a nervous breakdown, trying to settle down with a school teacher at an all boys school. The lines of reality begin to be questioned as nothing is quite as it seems, which is strengthened by Cushings performance as the mentally unstable headmaster; who could have hammed it up but instead adds the right level of subtlety to make his character believable. There are obvious absences from the list which I hope you’ll forgive me for. These are mainly due to my belief that those particular movies are owned by the female counterparts. They are: Dr Namaroff in The Gorgon; Maj. Holly in She; and General Von Spielsdorf in The Vampire Lovers.